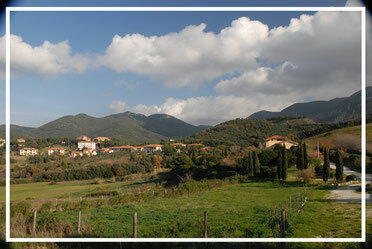 San Carlo is a hill village forming part of the municipality of San Vincenzo. Situated 5 km from the town centre and the sea, it is a small hamlet at the foot of Monte Calvi, surrounded by the hills, with luxuriant flowers and shrubs on all sides. This is the ideal place for a relaxing holiday in contact with nature and for walks and excursions through the typical Mediterranean brush and shrub vegetation. The village blends into the verdant countryside where numerous agritourisms nestle among the trees. San Carlo has been uninterruptedly inhabited for thousands of years, and its history can be traced back to the Paleolithic. Ever since ancient times it has been a place rich in mineral deposits. Archaeological finds have led to the discovery of a mining village and melting furnaces dating as far back as the Bronze Age. In recent times, starting from 1872, the Belgian company Solvay has been active in San Carlo. The company set up an important limestone quarry which maintains a discreet today. 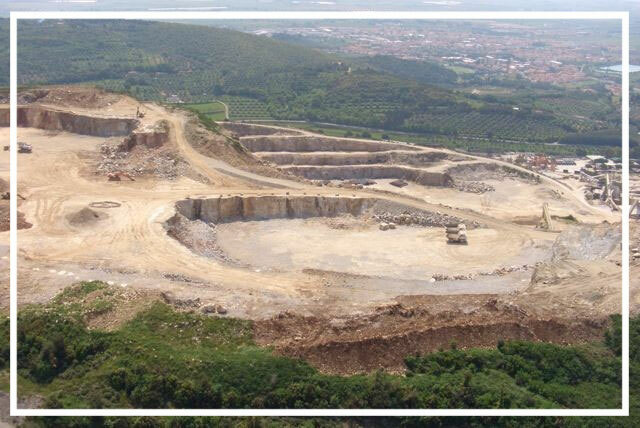 The presence of the quarry shaped the settlement as we see it now, and the picturesque appearance that has characterized the village since the 1940s remains virtually intact. Today the hamlet, which has about 400 inhabitants, is a dream-like place where time seems to have stood still, immersed as it is in an enchanting landscape of completely unspoilt Mediterranean brush vegetation. Starting from San Carlo and walking the Corbezzolo trekking trail one can reach Rocca San Silvestro, or Fortress of San Silvestro, in the Municipality of Campiglia M.ma, which is today part of the archaeological mining park that is named after the Rocca or “Fortress”. Continuing along the trail, you can also reach the small Municipality of Sassetta as well as the imposing medieval hill town of Castagneto Carducci. 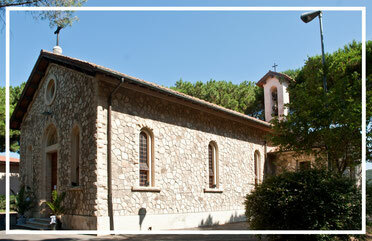 The small and picturesque church of San Carlo fraction. Of particular importance is the presence of Campiglia Cave of marble and limestone, exploited since the ancient Romans and is still active. One of the most important attractions of San Carlo are the Karst holes, wells and natural caves, formed in the Mesozoic period, also used for the mines of the past. Trips leave from San Carlo on hilly scenic routes of varying length and difficulty.